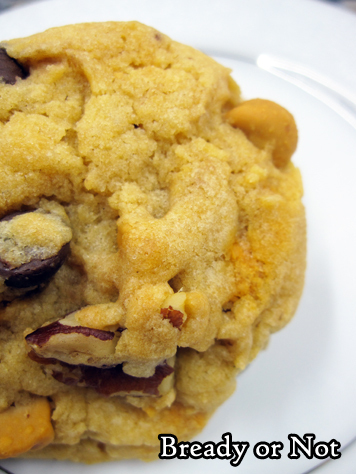 I love creating new recipes using my favorite grocery find in recent years, caramel chips! 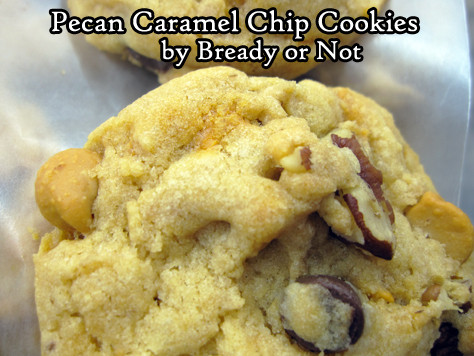 This original recipe for Pecan Caramel Chip Cookies is sublime and delicious. 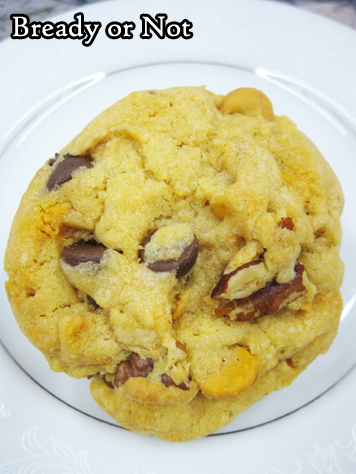 This recipe was inspired by my favorite recipe for White Chocolate Macadamia Nut Cookies. The secret to success in that recipe is white chocolate chips are melted and mixed into the dough. I considered a bag of caramel chips and thought, hey, if it worked for white chocolate chips, why not caramel? I opted to use pecans because 1) they go so well with caramel, and 2) they are cheaper and generally more accessible to people. The melted caramel chips don’t simply add sweetness to the dough, but a smooth, silky texture that helps these cookies to bake up fat and chewy. You might need to hunt around for caramel chips. I’m still mad that my local Walmart carried them for a year then stopped, but most grocery stores around still carry them. Kroger even stocks their own version, which doesn’t look or taste quite as amazing as Hershey’s or Ghirardelli’s, but it’s still good. And cheaper, for sure. This original recipe requires caramel chips. 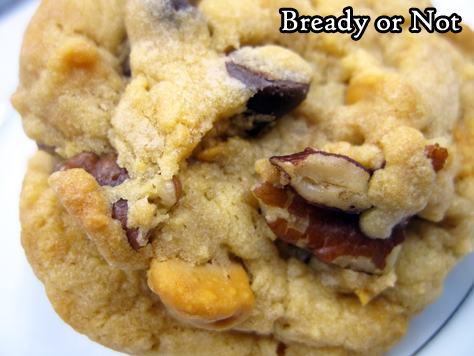 A cup of these chips are melted and blended into the dough, transforming these cookies into something magical! Preheat oven to 325-degrees. Place 1 cup of caramel chips in a microwave safe bowl. Microwave on 50% power in short increments, 20-25 seconds, and stop to stir between passes until the chips blend smoothly. Set aside to cool. In a large mixing bowl, beat together both sugars, butter, vanilla extract, and eggs until they're creamy. Mix in the melted chips. 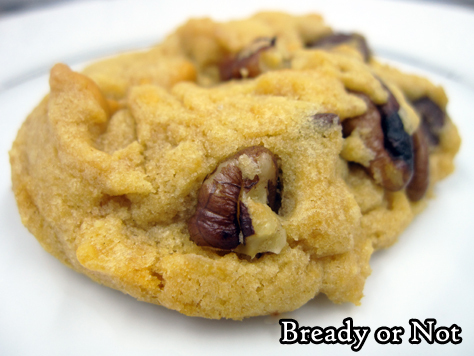 Stir in flour, baking soda, and cream of tartar. Fold in the remaining caramel chips, chocolate chips, and chopped pecans. 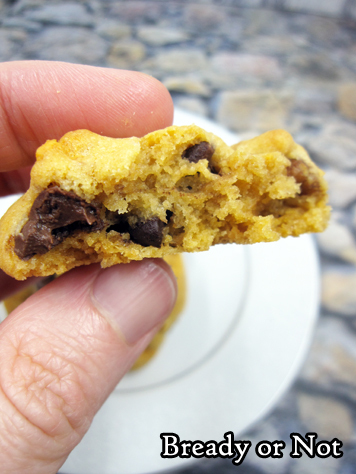 Use a tablespoon cookie scoop or spoon to place dough in rounded lumps on cookie sheet. Bake 10 to 12 minutes, until the tops just begin to turn light golden brown. Cool on the sheet for several minutes, then move to a rack to cool.